Description: concept of online learning. the child is enrolled in an online school. 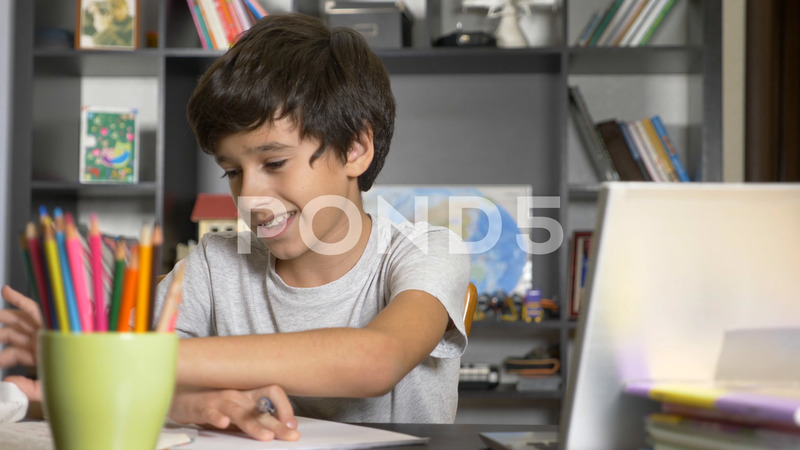 boy doing homework with laptop. 4k, slow motion.